We have seen a lot of stuff related to Kodi throughout our site till now. For a change, this article will cover the top 7 best Kodi alternatives which you should give a try. I have gone through a lot of applications and picked the best 7 applications which may serve as a better alternative with the similar Kodi functionalities. With the fall down of Kodi addons, Kodi is facing its hard days now. So, it is better to have some info about Kodi alternatives as a backup plan. We have provided every info you should know about the applications and the supported devices too. Thinking of an alternative to Kodi, the first application that comes to mind is Plex. Plex is as good as Kodi in all terms. It is supported by almost all formats including Windows, Mac, Linux, Android, Nvidia Shield, Xbox, Amazon Fire Stick, ChromeCast, PlayStation etc. Plex is a media center similar to Kodi which organizes all your media contents like music, videos, movies and much more. It is simple and fast. Its additional home theatre feature adds more value to the application. The client-server architecture ensures you to stream seamlessly from your media data warehouse as well as other third-party applications. The premium feature of Plex even adds more grace to the application. The most common premium feature is you can store all your media content to cloud and you can access them whenever you wish from your laptop, mobile phone or Television. 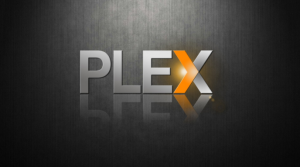 Thus Plex is undoubtedly the best alternative to Kodi. Another notable feature in plex is that you can record what you are streaming. Now a new feature called plex news is also added which sounds interesting. OSMC is the acronym for Open Source Media Center. It comes with a tagline “OSMC is developed by the people for the people”. OSMC is a free and open source media player based on Linux. You can almost call it as the Linux version of Kodi because the appearance is much similar to Kodi. 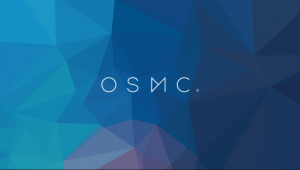 OSMC is a Linux distro that has been built on top of Kodi, to add a faster GUI interface and functionality to the Rasberry Pi (or Vero, OSMC’s own machine). Its way faster than any other typical Linux distro out there. OSMC is supportive of a range of Wi-Fi adapters and TV tuners. The web-based UI and support for the desktop environment. OSMC even has its own device called Vero 4K which can be used to stream 4K videos over the internet. If you want to have a similar user interface and functionalities of Kodi then you can try OSMC without any hesitation. Stremio is another popular application which can be regarded as an alternative to Kodi. Stremio application is supported by almost all formats including Windows, Mac, Linux, Android and much more. Stremio application is another media player which has similar functionalities to Kodi. It even retains the addon feature of Kodi. One of the major drawbacks in this addon is that the user data of the installed addons are added to our online account associated Streamio. In my opinion, this is both good and bad. The addons that you use are automatically synchronized to your Stremio account. This also stores your data and renders it to the third party like BitTorrent. This may be the only drawback with this application. Another main advantage of this application is that you will get the best quality videos regardless of what you are streaming. This may sound new but it has more appealing features way compared to Kodi in functionalities. It goes by the tagline “your media, your way”. Let us see some of the important features of this application. This application is supported by Android, Firestick, Windows, Linux, NAS Devices, Mac, Docker, FreeBSD, Amazon Fire, Android TV, Apple TV, Chrome Web Cast, Emby Theater, Roku, Samsung Smart TV, Xbox One, PS4, Kodi, Xbox 360. You can play your media on any device if you have an Emby account. One advantage compared to Kodi is that you can stream Live Tv with Emby and you can record and watch it later too. You can automatically sync your personal media to smartphones and tablets for easy offline access. The one feature that separates Emby from all of its competitors is parental control, by which you can control what your children can watch. Emby can also recognize hardware capabilities of different devices and streams media components accordingly. It can also detect the DLNA device connected to the system automatically and share contents via them. Using Emby you can also sync your personal media contents and libraries to cloud and access them whenever you want. Thus Emby may be one of the best alternatives for Kodi. Popcorn Time is a new application being developed still in beta stage of development, which may serve the very purpose of Kodi. The core purpose of this application is that you can stream movies and Tv shows unlimited in HD, which is a big boon to the media lovers. Tired of installing addons and searching your favorite picks, here is the best alternative. Popcorn Time is available for Android, Mac OS, Linux, Windows etc. Since it is in development stage it is not available for any other platforms yet. No need to download anything, you can come back and watch the contents as many times as you wish. 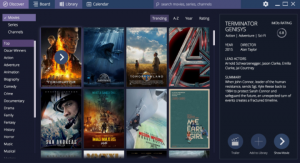 Popcorn Time works by constantly searching all over the web for the best torrents from the most important sites and provides it to the users. But as you know, you need a VPN and the best internet connection to stream all the contents seamlessly. Koko time is an Android application built exclusively for Android devices that may run on your smartphones and Android firestick. Using Koko time you can stream contents directly from your local library or other addons which you can download from the official site of Kokotime itself. It serves the same purpose as Kodi but only for Android devices. It also has some additional premium features which may cost you some. The big advantage is that the media player has the capacity to read the media and download the subtitles automatically. Kokotime is also, on top of all that, a fully equipped media center, equipped with a video player capable of playing all your video content and a file manager for browsing your local files. 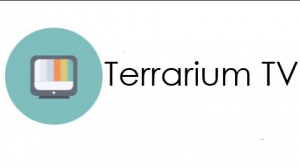 Terrarium tv is an application built especially for Android devices such as smartphone and firestick. It mainly used to stream movies and Tv shows. You can also download them if you wish. It provides a lot of streaming links even in HD. There are a lot of options to filter the content you are watching. It provides a lot of streaming links from 360p to 4k videos from a lot of providers. It also contains movies and Tv shows from various languages and regions too. 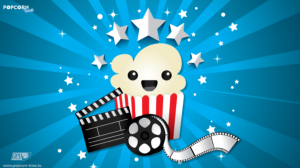 If you are a movie lover then you can use this application without any second thoughts. The UI is so user-friendly and easy to navigate. There are several additional options too. You can use your own media player to stream the contents from this application you can download subtitles automatically when you download any video. If you are an Android user then you should try this application, which may serve the best Kodi alternatives in your smartphone. That’s all about the best Kodi alternatives, hope you enjoyed this article. If you have any issue regarding the usage or installation procedure. Kindly let us know. Thanks for providing the best alternative apps to kodi. But, I think few services has stopped.